In a world so full of hate, bigotry, violence, discrimination – the list goes on and on – it’s about time to switch off the depressing news and log out of social media to enjoy a good laugh. This is a collection of the sarcastically hilarious moments from my life that will bring a smile to your face when the stories reach the ultimate climax – sometimes multiple. The time I crashed a backyard karaoke party and stole the show. The time I spoke at a luncheon for an audience I truly wasn’t expecting. The time I practically destroyed my house trying to kill a fly. The time I travelled with a married co-worker who slept her way through town and faced her own drama during the adventure. The time I got drunk at my first red carpet event and made a fool of myself. It’s all in this book for your pleasure. If you are easily offended and can’t take a joke, you should remove the stick from your rear and dive deep into these pages. 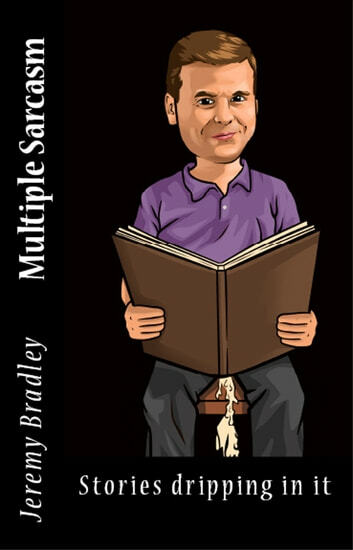 This book is intended to make you laugh and it will do just that – if you appreciate sarcasm. If not, buy the book and give it to someone who isn’t allergic to laughter and enjoyment. Though I will try to convert you to be a fun person with this collection of life stories.